A picture comparing the height of the Godzilla from the first movie in 1954 to the most recent one. Apparently the giant has grown a lot in half a century. Not sure who made this, thank you regardless. 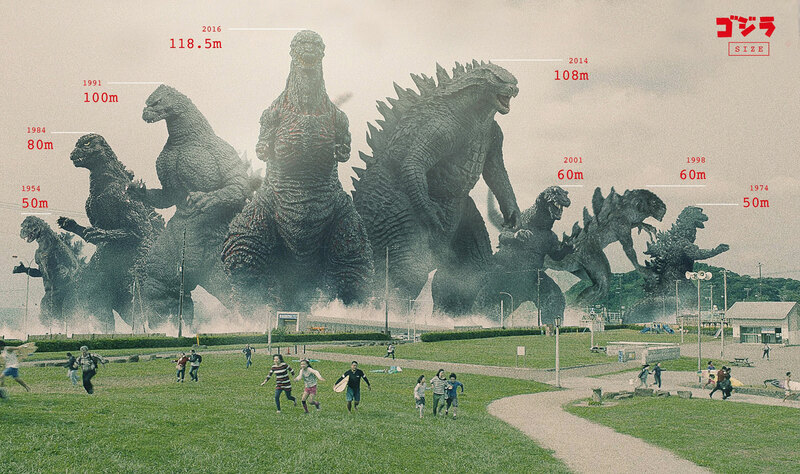 You can also check an earlier post to compare the size of Godzilla with other monsters in Japanese pop culture.